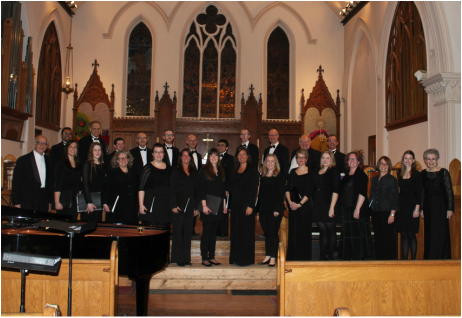 Chor Amica is one of the leading chamber choirs in London, Ontario, Our experienced musicians aim to perform the best choral music in all genres to a professional standard. A project-based choir, CHOR AMICA is happy to be part of London's tradition of fine choral groups. Chor Amica is committed to a close working relationship with the Bach Music Festival of Canada, and performs regularly at that festival. 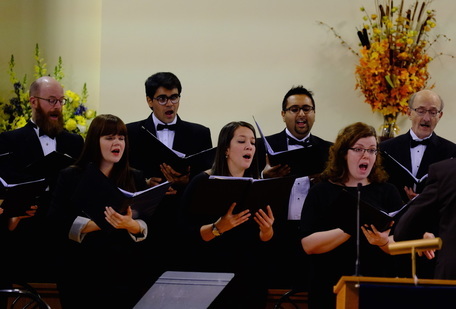 Our singers embody a wealth of musical expertise: many have university or college degrees in music studies, some are teachers or church musicians, and many conduct their own choral and instrumental ensembles. Several of our members come from other provinces and countries and bring with them impressive backgrounds in music studies and performance. Membership of Chor Amica is by audition, and new members are always welcome. If you would like to join, please email auditions@choramica.ca. Allan Bevan’s choral compositions have been awarded many significant prizes in Canadian, American, and European composition competitions. He won the 2002 Ruth Watson Henderson Award for his motet Peace, and is a three-time recipient of first prize awards in the Association of Canadian Choral Conductor’s Composition Competitions for his music for treble voices and piano (2000, 2002, and 2004.) His To Morning for string orchestra was awarded the Member’s Prize in the 2006 Mozart-250 competition sponsored by Chamber Orchestra Kremlin of Moscow. Dr. Bevan’s Passion Oratorio Nou Goth Sonne Under Wode was selected as the “Outstanding Choral Work” by The Association of Canadian Choral Conductors at their 2008 convention and was featured at Carnegie Hall in 2016. Concerto Della Donna’s CD Parlez-Moi, a 2011 release of his choral works for treble voices was named the “Outstanding Choral Recording” at Podium 2012 in Ottawa. Allan Bevan has been commissioned by many of Canada’s finest choirs including outstanding ensembles such as Chorus Niagara, Pro Coro Canada, the Vancouver Chamber Choir, and the Richard Eaton Singers as well as by the international touring ensemble Les Petits Chanteurs de Saint-Marc, known for their soundtrack for the film Les Choristes. His works have been performed, recorded, and broadcast across North America and in Europe, and Asia, and he has over fifty published compositions and arrangements to his credit. Allan Bevan has been described as “an extremely talented composer of ravishing sacred choral music” by The American Organist and as a “composer [who] obviously understands and is able to write for the voice in an uncanny fashion” by The Choral Room. He is a graduate of the University of Windsor School of Music and holds graduate degrees in music from the University of Alberta and the University of Calgary. Charlene Pauls has enjoyed a long and varied musical career, as a choral conductor, vocal soloist, clinician, adjudicator, arts administrator, academic, and pedagogue. Drawing on this extensive experience and training, Dr. Pauls’ approach focuses on developing a beautiful and well-crafted choral sound through a deep understanding of healthy vocal technique. Dr. Pauls has appeared as a Soprano soloist on concert stages across Canada and internationally in Germany, England, France and Spain, under the baton of conductors such as Robert Shaw, Bramwell Tovey, and Helmuth Rilling. Drawing inspiration from these and many others, she has developed a collaborative leadership approach which she has further honed conducting community, university, youth, and church choirs. Successful performances at national and international conferences and competitions, including recent appearances at “Podium” and the World Choir Games, are a testament to the effectiveness of her approach. This life-long commitment to learning gives Dr. Pauls capacity and capability across a broad swath of the musical canon. Although her formal training includes concentrations in Early Music and a dissertation on Bach, she is well-versed in opera, oratorio, song repertoire as well as musical theatre. Dr. Pauls has also been a proponent of contemporary compositions, and has been involved in numerous commissions focusing on Canadian composers. She has completed ARCT diplomas in piano performance and pedagogy, undergraduate degrees in theology, voice and piano, a Masters Degree in Early Music from McGill, and a Doctorate in Vocal Performance from the University of Toronto. In addition to her active performing and teaching career, Dr. Pauls frequently presents academic work at conferences and is in demand as an adjudicator for Voice and Choral festivals across the country. She is pleased to be conducting Chor Amica for concerts in November and April. ​John Helmers holds a MMus degree in Performance from Indiana University where he studied with Janos Starker. Since 1986, John has been the principal cellist of the Kitchener-Waterloo Symphony Orchestra and a member of the Canadian Chamber Ensemble. He has previously served as the principal cellist of both the National Ballet of Canada (1982-86) and the Calgary Philharmonic. Mr. Helmers has appeared as soloist with the Calgary, Hamilton and Kitchener Symphonies and has toured internationally as cellist of the CCE. John is currently a member of the teaching staff at Conrad Grebel College, University of Waterloo. Ensemble director, multi-instrumentalist, composer, conductor, and scholar Dr. Gerard Yun brings together formal training in Western and world traditions. 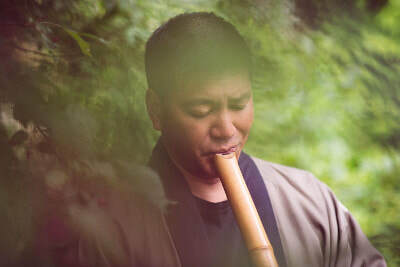 Dr. Yun holds master and doctor of music degrees in ensemble conducting with traditional training in Japanese Shakuhachi, Asian Overtone Singing, West-African Kora, Ghanian Drumming, South African Choral Singing, Australian Didgeridoo, and Native American flute. Gerald Fagan has enjoyed a long and distinguished career as a choral and orchestral conductor. The recipient of numerous awards and honours, Mr. Fagan conducted all-Provincial Choirs across Canada including Ontario, Nova Scotia, Newfoundland, New Brunswick, Prince Edward Island, Saskatchewan and Alberta; was one of the founders of ACCC and Choirs Ontario; and was the Founding Conductor of the Toronto Mendelssohn Youth Choir. In 2011, he was awarded the Order of Ontario, and in 2016 he received the Order of Canada, one of the nation's highest civilian honours. Having recently retired as its conductor, Mr. Fagan continues to support Chor Amica as a consultant and artistic advisor. 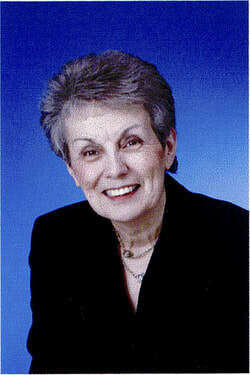 In 1977, Marlene and Gerald embarked on a 35-year tenure as accompanist/general manager and artistic director of Fanshawe Chorus London, Gerald Fagan Singers and Concert Players Orchestra. These three ensembles became one of the largest adult performing organizations in Canada, specializing in advance repertoire for chamber choir and performance of the major works in the orchestral/choral repertoire. Maintaining an international presence, the organization has performed in England, Belgium, the Netherlands, Germany, Poland, Lithuania, the Czech Republic, Spain, Monaco and France promoting Canadian repertoire. Now retired from London performances, Marlene has been editing more than 200 of her popular music scores. Marlene received the ‘Woman of Distinction’ award for the City of London.